The Multi-Media Men ‘Best Director of All Time’ Bracket!!! We here at the ‘Multi-Media Men’ podcast headquarters have decided to develop a fun segment in the form of a NCAA bracket. But instead of sports teams, we will be giving you brackets throughout the year related to films, tv shows, video games, and comics. The first bracket we have unveiled is the ‘Best Director of All Time’ bracket. It is set up the exact same way as a NCCA tourney bracket, but instead of teams, we have directors. Their are four different regions that we put our list of 64 directors in. One region is dead filmmakers. Another region is Genre Filmmakers, meaning directors that solely make sci-fi/horror/silly comedy films. 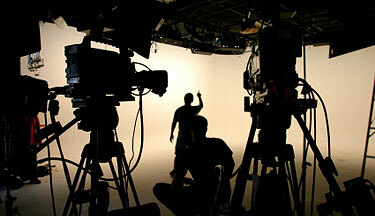 Then there is modern filmmakers, meaning current directors who are alive today, making movies. Then there is the foreign director region, meaning directors who hail from other parts of the world other than the U.S.A.
Each week, the members of ‘The Multi-Media Men’ will be narrowing down the list until we have a winner. We will carefully go over each filmmaker’s movies and decide by way of vote who advances to the next round with a majority rule. We would love for you all to play along with us and send us comments, videos, messages on who you think should advance and win each round. We look forward to playing this bracket with you. Please download and print the bracket below to play. This entry was posted on Wednesday, August 7th, 2013 at 9:20 pm	and is filed under Events, Film, News. You can follow any responses to this entry through the RSS 2.0 feed. You can skip to the end and leave a response. Pinging is currently not allowed. Of course you can never make everyone happy with any list… but c’mon! 2. Why is Buster Keaton in the Genre category and not the Dead category… and is he even a filmmaker? Buster Keaton is a director and we all decided he should be in the bracket. But in the genre section as he did mostly comedies. We all talked about the Coen Bros. we left them off the list die to some of their films. Although they were close to making the list. Abraham’s bros. gave us airplane, top secret, amongst others. I really am speechless. I don’t know if I can be associated with such nonsensical thinking that would give credit to the directors of Airplane! Top Secret! and Hot Shots! Part Deux over Raisqing Arizona, Miller’s Crossing, Barton Fink, Fargo, The Big Lebowski, Oh Brother Where Art Thou, and No Country for Old Men. Change it up or I’m not voting! there is no way Sam Raimi get a cake walk in the first round if Kurosawa has to go up against Kubrick! By the way, why in the hell does the Abrahams brothers movies always end in an exclamation point? Trust me. We talked about it. Coen Bros. are out on this bracket. I love them a lot, but they didn’t make it. Ladykillers and Intolerable cruelty are examples of their absence from the bracket. « The Multi-Media Men Podcast #3! !